Just opened march 2016 Barton Gate Farm Guest house is small privately owned family run business set in 8 acres on the Devon/Cornwall boarder. Where you can be assured of a warm and friendly welcome. The farmhouse dates back to 1647 and still retains some of the original cob stonework. 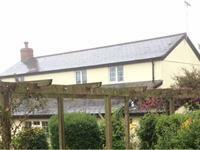 Conveniently located on the A3072 between Holsworthy (3.1 miles) and Bude (6.7 miles). We purchased the farm in 2013 and have totally re-furbished the stables and converted them to 3 guest rooms. Each room has an luxury en-suite underfloor heated rain shower /wet room, which is also wheelchair friendly.All rooms have TV/DVDs with Free view, Safe, all towels and an alarm clock. Laundry service is available if needed. You can also enjoy your breakfast in our newly built orangery room overlooking our landscaped pond area, then just chill out with a coffee/tea in our snug room which has TV/DVD and Log burner stove. Also on site is a large Games room, with Pool table, Table tennis & Darts and even a summer house nail bar for a buff-n-polish or a full set of acrylics!!!. (over 16 years of experience).